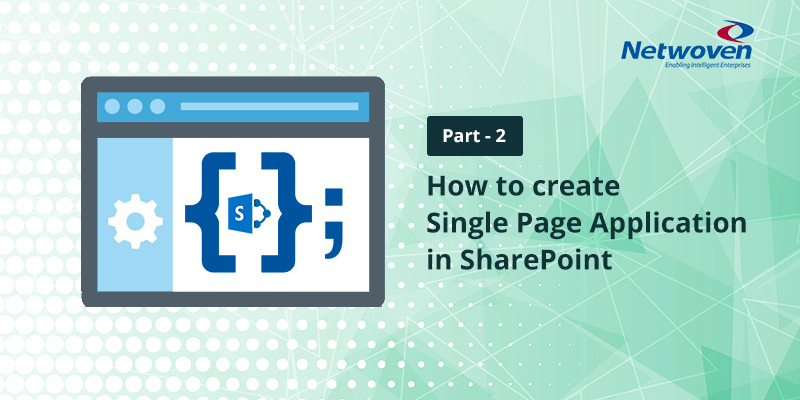 This part of the article is in continuation to my earlier article, in the first part, we have discussed the reasons about why we are exploring this option for the creation of single page app instead of making use of SPFx’s SPAP. Also, we discussed various advantages/disadvantages along with the precautionary note. In this part, we will jump into the actual development steps. It is important to note that the command above includes “--scripts-version=react-scripts-ts”. 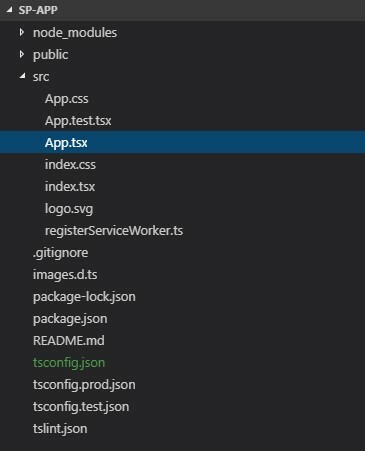 This is included in order to add typescript flavor to the mix so as to ensure that the development model we are choosing is aligned with the SPFx’s model’s requirement. Execute the below commands and start the app. Check this URL http://localhost:3000/ to see if it is working. Execute the command mentioned below to ensure that pnpjs libraries can be included. 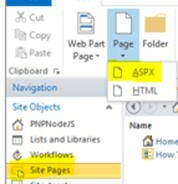 Inside the Site Pages library, you can create a new .ASPX page by clicking on the Page button and then selecting the ASPX option as shown in the image below. Then you can open this newly created page by right clicking on the page and selecting the Edit file in Advanced Mode option. 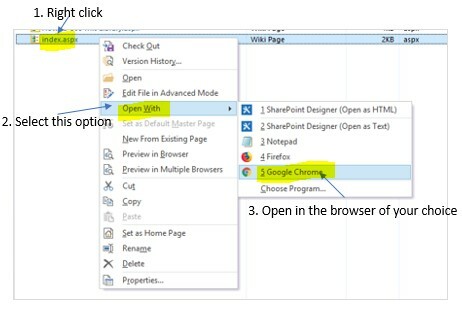 Follow the steps below to open this newly created page on a browser of your choice. You should now be able to see the page similar to the below image. You are all set to open this project in any IDE of your choice, I like Visual Studio Code. Please verify if your folder structure is similar to the one shown in the below image. The next step is to open the App.tsx file and then paste the below code as it is. Then under “componentWillMount” function, the web object is created, using which all the lists within the SharePoint site are fetched and stored in the state variable lists of the type array. Make sure to save the file “App.tsx” so as to compile the application. For any reason, if the application was stopped, then please run the command npm start from the console window of the Visual Studio Code or from the command prompt. You can now browse to the index.aspx and ensure to log in using your O365/SharePoint credentials. You should see the page similar to below. Please note that we were able to fetch all the lists from the SharePoint site and display them. We have made good progress so far and did the initial setup. We are also able to use the pnpjs library to and then communicate with the SharePoint REST API. You can now take this forward and build the Single page application just similar to how this development is done using the general Node JS development. Next PostNext Office 365 Collaboration Tools: What to Use and When?